Home / Expert Advice / Why Do You Need an Architect? Eight reasons why you can benefit from hiring a professional. We tend to think of architects as the people who design enormous public structures for enormous corporate or municipal clients with enormous budgets. Of course, architects do design those projects, but the buildings they work on more often—and the ones many architects say give them the most satisfaction—are the homes they design or remodel for private owners, translating a wish to a drawing to a completed structure that will become someone’s dream home. After an intensive university degree program, a rigorous internship and licensing process, and a lifetime of continuing education and professional development, architects bring a wealth of specialized professional knowledge and experience to every project. If you’re building a home, an architect is most likely involved at some point. If you’re remodeling or expanding, engaging an architect gives you advantages you might not realize. 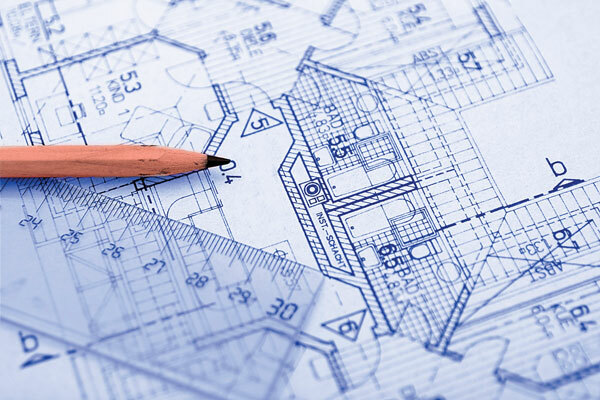 Here are eight specific reasons to hire an architect. Sometimes you reach a point in your life when the home you love can no longer accommodate your needs. An architect will address those changing needs, whether that means aging in place, transitioning to working at home or a new marriage that blends two families in a single home. Need another bathroom? An architect will help you find space for it. “Some of the more fun projects are the smaller ones where the architect brings creativity to solving a dilemma,” Bunn says. In addition to the continuing education credits mandated for all licensed architects in the state of New Jersey, architects tend to acquire knowledge simply because they’re curious by nature. “We always have our hand on the pulse of what people are doing in our industry,” says Princeton architect Catherine Knight, AIA. That includes construction and design, accessibility, energy efficiency, and materials and finishes such as the VOC (volatile organic compound)-free European oil floor finish that Knight has been championing recently. The architectural drawings a builder uses to construct a house come along quite late in the planning process. Before that there’s extensive conversation that begins with a broad-brush discussion about the scope of the job and ends with pinpoint details such as lighting and kitchen cabinets. Expect your architect to present you with a variety of design options, including some you never expected like swapping the locations of a kitchen and a dining room or replacing a small unused bedroom with a second-floor laundry room and an additional bathroom. Managing the costs of a project is part of the architect’s mandate—and another place where creativity comes into play. If timing and budget don’t allow for a complete home renovation, Knight and Bunn say they often work with clients on multiphase renovation plans, completed in stages over the long term. This lets you address pressing needs immediately and leave the less urgent things for later. It also ensures the early work won’t have to be undone or redone when the later work is under way. Once construction begins, the architect can serve as the owner’s representative to the builder, making sure the work is proceeding smoothly and according to plan. If you don’t have the time or the confidence to take an active role, this can be a great relief. “We are the homeowner’s representative to the contractor,” Knight says, adding that in some cases her firm oversees construction from the bidding process all the way to the finished home. AIA—American Institute of Architects (aia.org) is the largest professional membership association for architects in the United States. Only architects who hold valid licenses and join the organization may use the AIA designation. FAIA—Fellowship in the American Institute of Architects is a designation awarded only to those judged to have made a significant contribution to the field. RA—Registered Architect is sometimes used by architects who are not affiliated with other professional associations. LEED—Leadership in Energy and Environmental Design is a certification from the U.S. Green Building Council indicating the holder has demonstrated particular knowledge in the design, construction and maintenance of sustainable buildings. CSI—Construction Specifications Institute is a national association for the construction industry. NCARB—National Council of Architectural Registration Boards awards this certification to applicants who have earned a professional degree from an accredited university program, completed a specified internship program, passed the Architect Registration Examination and received a license to practice from one of the state registration boards. For information on the licensing procedure for architects in New Jersey, visit the New Jersey Division of Consumer Affairs website: njconsumeraffairs.gov/arch/. Leslie Gilbert Elman is the author of Weird But True: 200 Astounding, Outrageous and Totally Off the Wall Facts. She writes about antiques and other subjects for Design NJ. This is the second in a three-part series about certification programs for professionals in the home design industry. The first—“What’s a Certified Interior Designer?”—was published in our June/July 2015 issue. Designers’ Favorites – What is Your Favorite Appliance?